Milan is among the most cosmopolitan cities in Italy. It’s known in the world for its football and fashion. This city oozes with economic success which makes it an ideal place to have a luxury holiday or short break. For a new visitor to this amazing place, a few ideas on how to get along will come handy. This city offers some of the most luxurious experiences in the world. 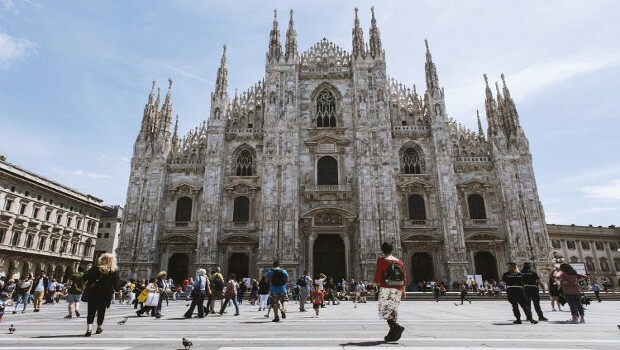 Given are 5 tips on the best luxury experiences in Milan. Ranked among the world’s best restaurants, Cracco Peck will offer you sumptuous foods and drinks at the table of Carlo Cracco. It’s the last word in the Italian cuisine. Redesigned by Gian Maria and Roberto Beretta, this place is elegant and appealing. Cracco Peck is one of the best places to enjoy a luxury cuisine in Milan if not in all of Italy. This hotel has been a favorite destination for many foreign travelers from the early 1920s. Here, you will get everything you have ever wanted from a five-star hotel experience. It’s the ideal place for a fantastic experience in Milan. You will enjoy five-star amenities like a spa, restaurant, meeting rooms and swimming pool. Further, the rooms will offer you all that you have ever wanted in a luxury suite. They are fitted with refinements to match your requirements. There’s more to enjoy in Milan than in the city. Consider taking an excursion of the beautiful scenery at Lake Como. Ensure to book a Milan Airport taxi for a convenient and safe journey to this beautiful place. The lake is in the backdrop of some amazing spas, short break hotels and lake cruises in the country. You will enjoy fantastic scenery of the thrusting mountains, the smooth and deep blue lake water. The breathtaking scenery and show off of natural luxury will surely give you long-lasting memories. This place is one of the most famous opera houses in the world. It has hosted hundreds of notable productions and directors such as Daniel Barenboim and Toscanini. Since it’s inauguration on 3rd August 1778, this opera house has gone through a lot. It survived the 2nd world war bombings and rough renovations. It remains a favorite meeting place for the wealthy and mighty in Milan. It will be a fantastic experience to indulge in Milanese entertainment and culture. A trip to Milan cannot be worthwhile without some shopping. This city is well known for some of the best fashion boutiques and high-end shops. Consider checking out the Milan fashion district mainly to the Via Montenapoleone. Here, you will discover stores from international designers like Armani, Gucci, Louis Vuitton and Prada. You will surely take the trip back to your hotel in your taxi service with lots of shopping bags. To enjoy those amazing experiences in Milan, the best way is to pre-book a taxi transfer from a reputable agency. It’s the best way to ensure you don’t get any problems while getting around on your tour to Milan.